We provide FREE in home design and estimates. 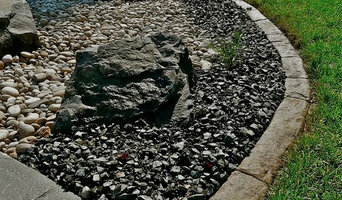 Mountain Hardscape Systems was founded with one premise in mind, to beautify and improve the Boise area with the lasting strength and beauty of pavers and stone. Our true success lies in transforming properties and seeing, as well as hearing about the effect our projects have on families, communities , and people in general. With over 20+ years of combined experience, our team of professional designers and master installers have one goal , to provide you an extraordinary experience. We believe that excellence in our craft is only preceded by excellent customer service. Nothing is more frustrating than hiring someone to work on your home and feeling like you are at their mercy. No home owner wants to feel in the dark about what is happening at their property or the methods of construction being used. We pride ourselves in presenting you with an in depth understanding of exactly what will take place at your home and giving you an EXACT cost on your project as well. Once MHS and their customers come to an agreement as to design, cost, and materials, we can begin to make your dream a reality. Have us out today for a FREE design consultation and let’s build you the outdoor living space you’ve always wanted. Transform your backyard into a private oasis for your family and friends. 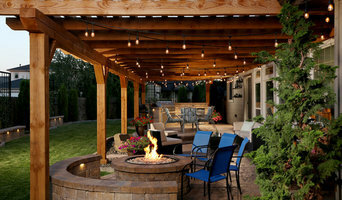 Since 2007, the award winning team at Yardscapes Northwest has specialized in designing and building custom outdoor living spaces for residential homes. As a family owned masonry business, we are committed to serving our clients with honesty, quality, and care. We would love to partner with you in order to transform your outdoor space into your personal backyard dream. Concrete Artisans. We design, install and pre-fabricate a variety of concrete products for outdoor living spaces. The concrete services of Northwest Concrete and Landscape, LLC go beyond conventional durable concrete slabs options. We also specialize in concrete artistry. Begin the first step of the design process by calling us today to schedule an appointment with our team of artists. Your satisfaction is our top priority The skilled and experienced technicians at Northwest Concrete and Landscape, LLC take great pride in their work and they stand behind it. All of our work comes with a 1 year workmanship warranty for your protection. Creative Designs Plus of Nampa, Idaho, designs and installs commercial and residential projects. Our goal is to provide the best pricing and quality available. We do not charge a design fee for projects we install. Our cleaning, repair and restoration services will save you up to 80% compared to replacement costs. We provide a multi-year warranty against water and oil staining. Financing is available. We are stucco owners of a businesses Southwest stucco. We do stone and brick also, patching. Our main priorities are to make the customers happy with good quality. It's easier than you think to achieve the perfect landscape for your yard! Curbs 4 Less, LLC specializes in the installation of aesthetically pleasing and maintenance-free decorative concrete curbing to border garden beds, tree rings, golf greens, driveways and more. Curbs 4 Less has been serving the Treasure Valley since 2001 and is fully licensed and insured. Free Quote for Boise Curbs, Driveways, Decks, and Patios by Curbs4LessWe also provide continuous, custom contoured, stamped, colored or stained concrete - extruded on-site and hand-finished. Our products are also functional as a mower's edge, eliminating the need for trimming, and providing a stylish and tasteful compliment to your yard. Our staff is industry-trained in both layout and installation of our products. Everything we use is engineer-tested, assuring you of a long lasting, quality, concrete curb that will not rust like steel, break like plastic, or rot like wood. Special compounds are used and control joints are placed to eliminate cracking in the curb between the joints. Trench compaction is performed where the ground is unstable; and curbing is only installed in conducive weather. Some notable jobs around the valley include the State Capital and surrounding state buildings, Boise State University Campus, St. Luke's hospital, and several thousand residential homes. As the owner, I put a personal guarantee as well as a satisfaction guarantee on all curbing products. We are Happy to say that we have been in business in the Treasure Valley Since 2005. We strive to Make our clients happy. We do driveway replacements to shop and Garages. Our goal is to provide clients with innovative solutions to their excavation, concrete and demolition needs, through high-quality workmanship and a personal commitment to each project. We manufacture concrete pavers, retaining wall and specialty products for your needs and wants. Glidden Concrete construction has served in the treasure valley since 1998. We are committed to providing the solutions to all our customers’ needs big or small. We offer a wide variety of skills from large commercial to concrete countertops. We continue to add and modify our equipment to provide better services and save our customers time and money. Glidden Concrete is bonded, licensed, and has a public works contractor license. Our goal is to satisfy our customers and provide lasting quality. What services can concrete specialists, pavers or stonemasons in Boise, ID offer me? As well as pavers, Boise, ID stone specialists can supply natural stone wall cladding, provide stone indoor flooring and stonemasons in Boise, ID could even handcraft stone fireplaces, create worktops or sinks in stone and design beautiful stone architectural pieces for your home. You can find all sorts of stone, concrete and paving experts with Houzz, so if you fancy some paving indoors or outdoors, or you’d like some stylish stone added to your home, this is the place to find an expert for the job. Browse Boise, ID pavers, stonemasons and concrete specialists in our Find Pros section. Compile ideabooks containing images of attractive paving stones, edging stones and concrete paving slabs, as well as clever garden paving and rockery ideas. Make a shortlist of at least three relevant paving experts or stonemasons in Boise, ID and then approach them for a free consultation. You can also ask friends and relatives for recommendations. Whatever you do, make sure you have a loose brief and budget, a few questions about things such as maintenance – how to remove heavy stains such as oil or bird droppings for example – plus a few visual references to spark conversation with your paver or stone specialist. Find a stonemason, paving expert or concrete specialist on Houzz. 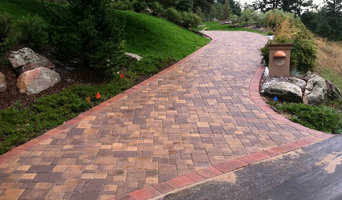 Narrow your search in the Professionals section of the website to Boise, ID stone, paving or concrete specialists. 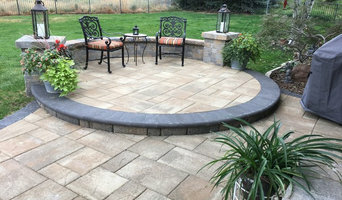 You can also look through Boise, ID photos by style to find a design you like, then contact the paver or stonemasons in Boise, ID that worked on it.